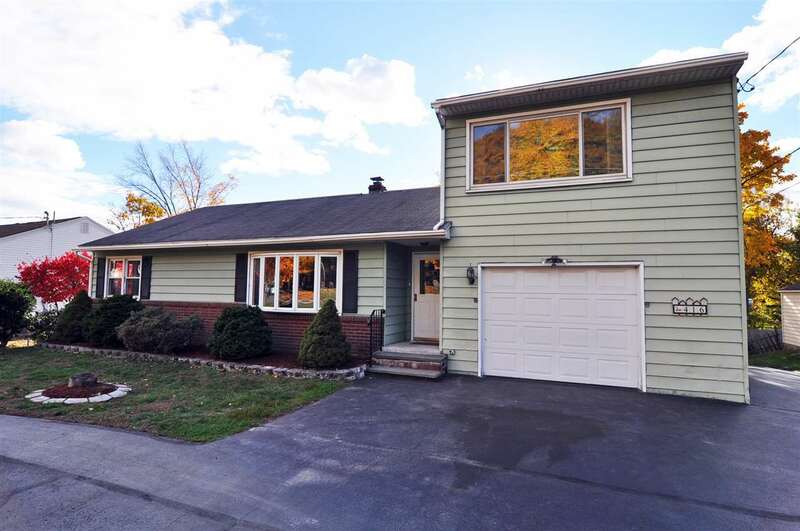 A Lovely home, with so much to offer in a Superior North Colonie Location (Potential for In Law for sure) 1st floor consists of 2(3)bedrooms, formal sitting rm/eat in kitchen & a supersized family room w/hardwoods. 2nd Floor has a separate kitchen, living area, full bath, & bedroom w/its own separation if desired. Externally find a circular driveway, 1 car garage, an entertaining deck , spacious backyard. Low taxes & North Colonie Schools! This one won't last, priced to move! Taxes without exemptions.